The question never went away. Inevitably, someone would ask Glen Phillips when his old band, Toad the Wet Sprocket, was getting back together. When that finally happened, the question changed: When are you making a new album? Sixteen years after their previous release, the answer arrived last summer with “New Constellations,” a Kickstarter-funded set of 15 new songs. If that sounds like a long wait for a fan, think of it from Phillips point of view. Although happy to be back onstage with his friends, he was confined to singing material written during his early 20s. 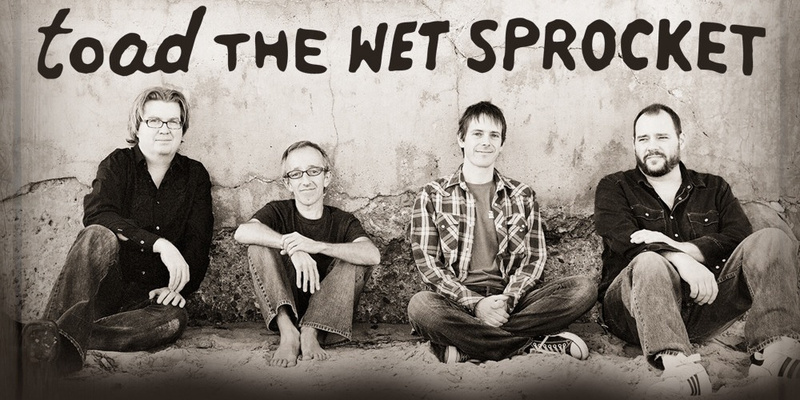 Toad the Wet Sprocket formed in the late ‘80s, and peaked in the early ‘90s. The quartet’s laid-back vibe provided an antidote to the angsty grunge dominating the radio at the time. In 1998, after two platinum albums, one gold record and a dozen Top 40 hits, the band called it a day. That depth was also helpful in selecting songs. “Finally Fading” originally appeared on Phillips’ 2005 album “Winter Pays for Summer.” “Bet On You” was built on “See You Again,” a song from fellow Toadster’s Todd Nichols and Dean Dinning’s Lapdog project. With the amount of time between releases and amount of preparation that went into “New Constellations,” Phillips cautions this may be Toad’s final album before conceding even he doesn’t know the band’s future. When Phillips and his bandmates last came to town, they were previewing “Constellations” material. Now, 15 months later, audiences have had time to learn the new songs and sing them back with the same passion as old favorites.